Thanks Matt, we really enjoyed the night time trip and the cooler temperatures, Spain is hot! 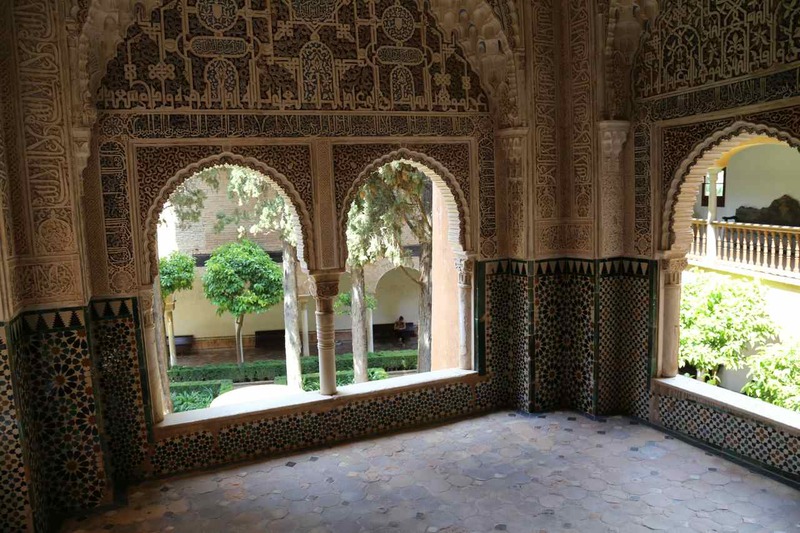 I have never heard of these beautiful courts and palaces, but, oddly, I fell in love with a song about Grenada as a child and I occasionally sing it to myself to this day! 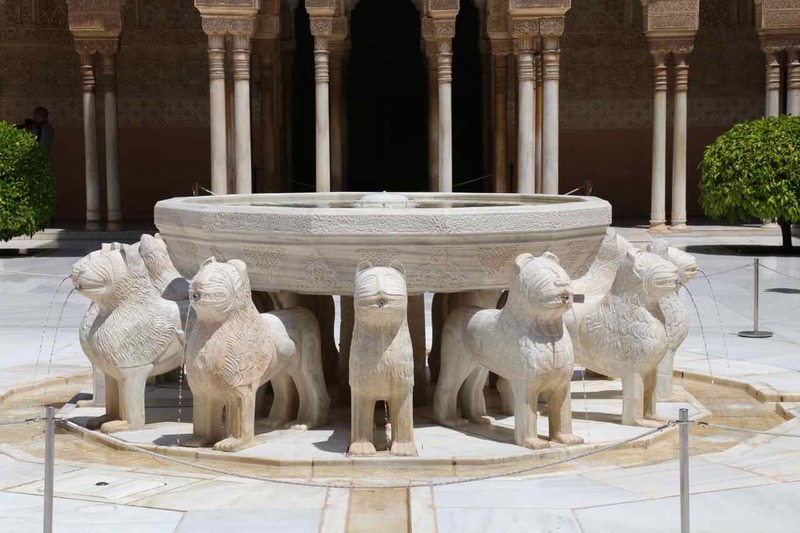 How magical the moment that you were in the Court of the Lions By Yourselves! Excellent! Looking forward to Post II. 🙂 m & jb who thinks it’s Doubly Excellent to have a Court Featuring Cats! 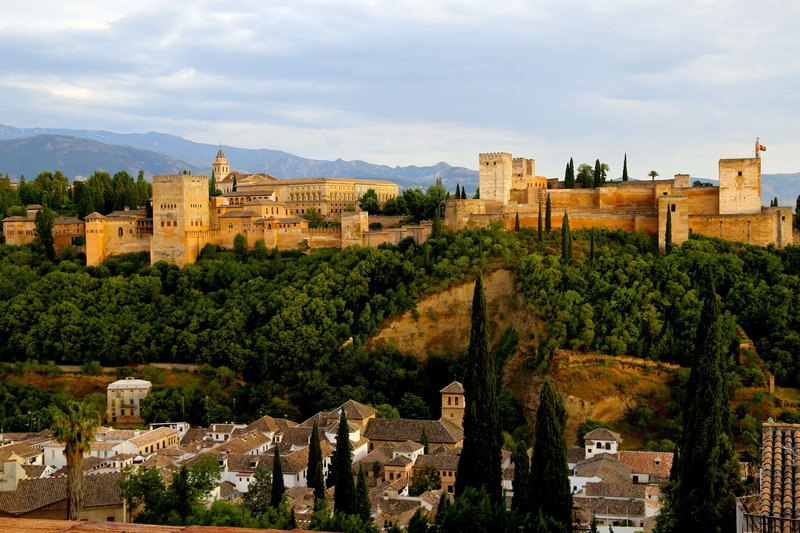 Glad you had the chance to realize your wish to see Granada. Fascinating architecture and the clipped myrtle hedge is wonderful. The first time I had considered Myrtle (Myrtus communis) for a formal hedge, I see its hardy down to H4 and generally pest free, in a harsh winter we would lose that here but I would like to grow some even in a pot the fragrance was lovely. Wow, Julie! I am so jealous! Those buildings are wonderful and the gardens so understated, calm and cool looking. Looking forward to the next post! The gardens were something else Clare, the heat was challenging though, we were told a couple of weeks prior temperatures were in the 40’s. We were getting up at 6, when it was cooler, by 10 it was too hot, so not a restful break but very glad we went. Home for a rest! I don’t think I could have coped with temps in the 40’s! I have never been there, but have heard about it. thanks for the photos and the tour! 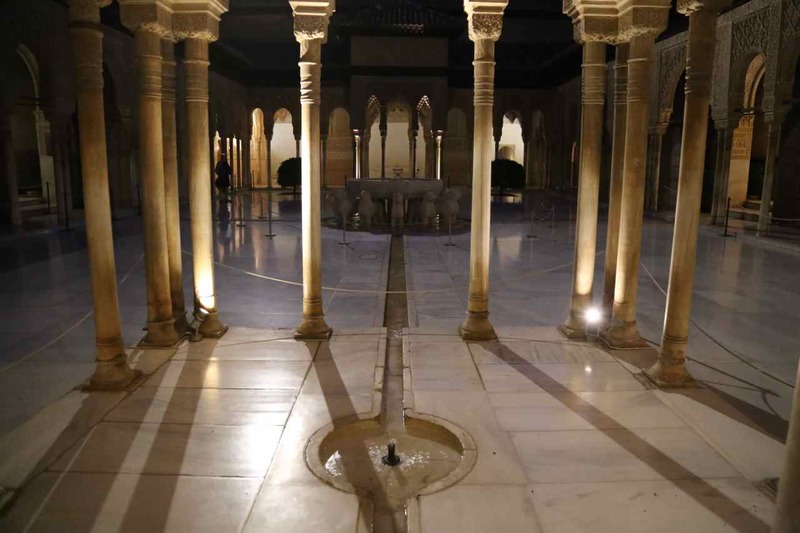 The Alhambra and Albaycin area are now a UNESCO world heritage site, so a great deal of care is going in to its preservation and restoration. It does make for an impressive visit, glad you like it Cynthia. This is my favourite place, although I haven’t been there with all the need for queueing and weeks-in-advance tickets. I love the water rills everywhere and that pervasive sweet coconut scent from the Oleanders. Thanks for reminding me and hope that you loved it. 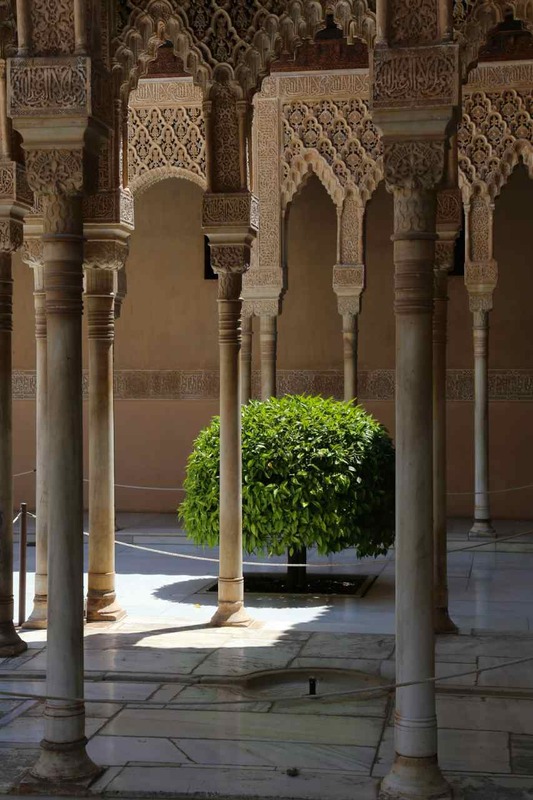 We really did love it, I read Robert Irwin’s book “The Alhambra” before we went, to try and understand at least the layout some more. A friend told me they queued for 3 hours in heat to buy a ticket on the day but with the advance tickets we just got in the line 15 mins before for a timed entrance to the Nasrid Palaces at 2.00p.m in the day and at night we were there at 9 just sitting and enjoying the view of the Albaycin before our timed entry at 10.00p.m. We could of turned up at 10, far fewer folk go in at night and they were all through very quickly. There were pricey private tours that did not queue at all but we are not in that market! 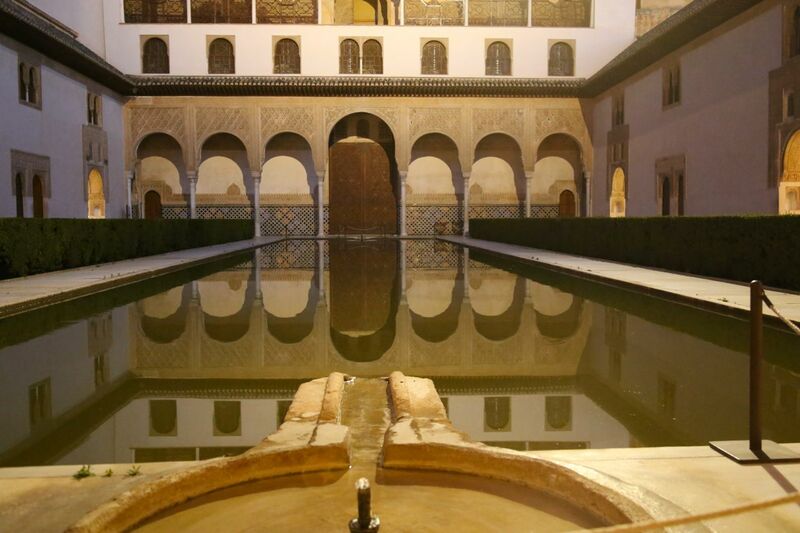 Granada is on my wish list for a trip, too! Nice insights that you provide us with, thank you so much. Additionally, I am warned not to go last minute, as I won’t get tickets to the Alhambra. 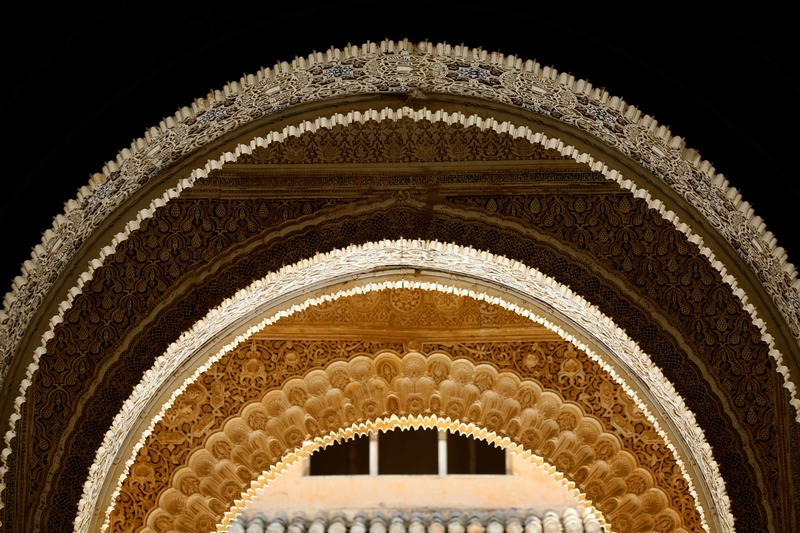 Hi Felix, the link on my blog to the Alhambra site gives all of the details of advance tickets, that you collect from the Ticketmaster office in Granada on the main square. 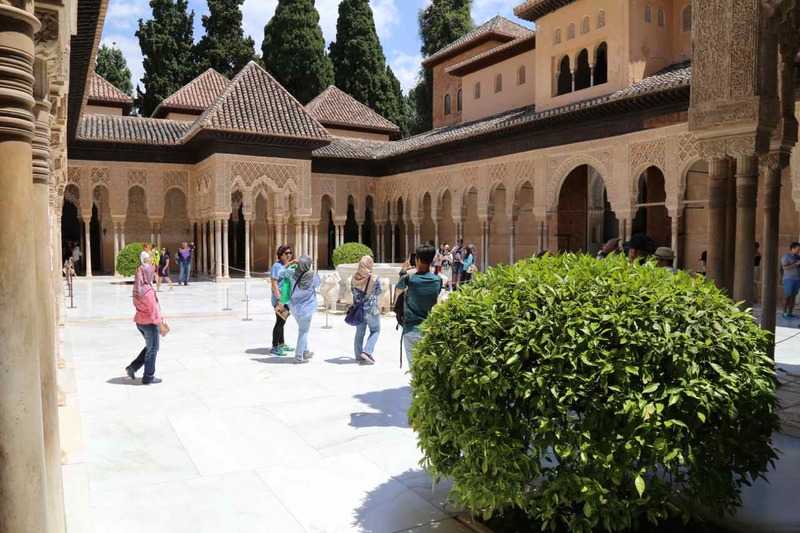 That saves going to the far end of the Alhambra complex to collect tickets then walk a long way back to the other entrance, depending on which part you want to see first. We visited the gardens many years ago and it’s lovely to see them again. It was winter so the gardens were deserted, but so beautiful in the clear winter sunshine. 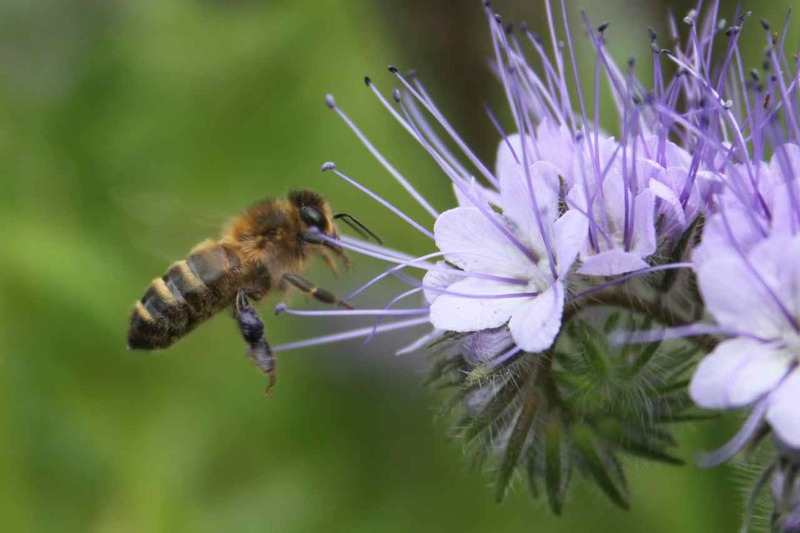 I hope this visit will encourage you explore more of Spain, away from the costas it is very beautiful, stunning architecture and great wild flowers. Our regret was not making time to at least spend one day in the Sierra Nevada Mountains. Only one bus a day from Granada, which we could not make work for us on a four day visit. But on the up side it means we have to go again! It does encourage me and so do your words. Thanks. Oh, it looks like it was a magnificent visit! Thank you for sharing and your photos were stunning! Thanks very much Tina, the light was very fierce in June, so made taking photos tricky, we enjoyed our trip but next time would go earlier in the year. We found Granada really easy to visit as its very compact. The bus from the airport was a couple of euros each a taxi about £33 euros. – we took the bus. 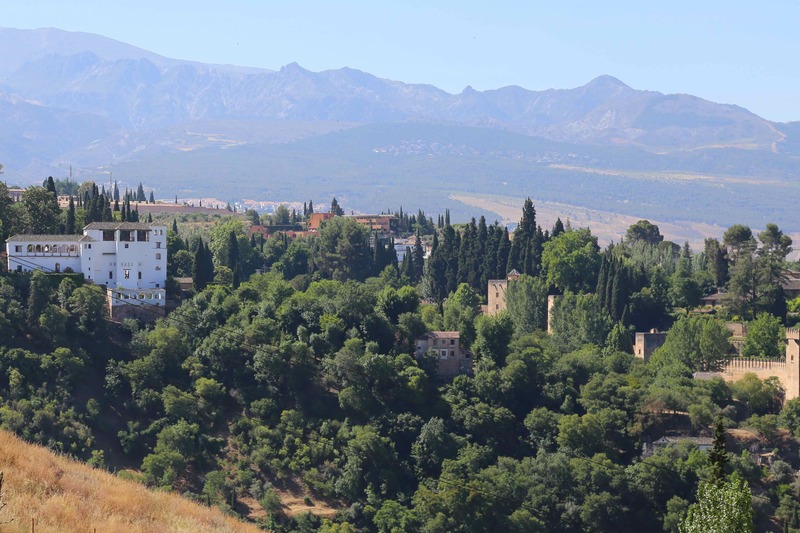 In Granada itself there are little mini buses which run frequently – each journey is 1.20 or you can buy a Bonus Bus card on the mini bus itself for around 8 euros which gave around 7 journeys so no need to find change each time. Its hilly and hot and normally we would walk but the little buses were welcome and easy to jump on. 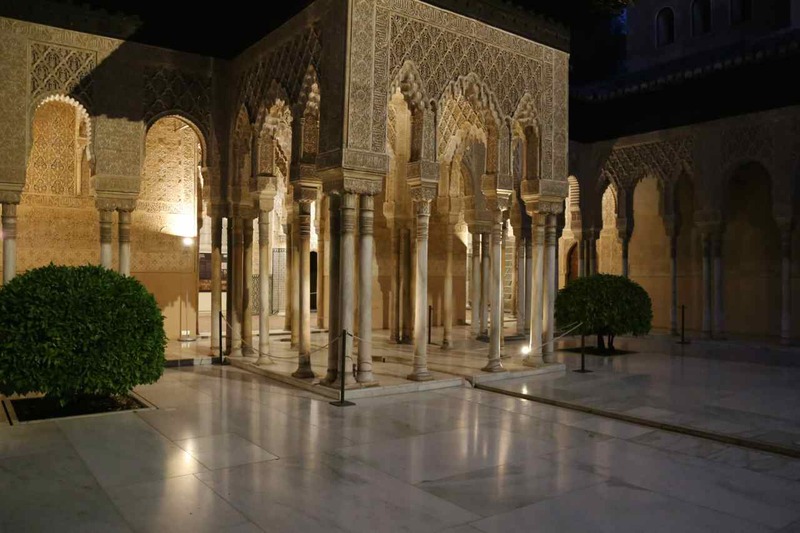 The key is booking your tickets to visit the Alhambra in advance. The website link on my first post is a bit tricky to navigate at first but it does make sense in the end! We did not hire a car as the streets are really narrow and hard to navigate and as a UNESCO site a lot is protected. But we really wish we had made time to visit the Sierra Nevada mountains, apparently 60 mins on the bus, but they only ran once a day in June. We stayed in the Albaycin area, one of the oldest parts and quite pretty. We did a segway tour for the first time ever and our guide said the coast was not up to much there. Hope thats of some help, we would highly recommend a trip but not in July or August! Thanks Frances, we have been looking over the weekend at maps of Spain and the possibilities of walking here – something we had never considered before. Your trips both sound wonderful. Oh how I wish I could go too! But lovely to share it in your superb photos. And thanks for the tip about booking tickets in advance. It would be wonderful to be so confident of growing myrtle that you could make hedges out of it! Can you grow them into hedges where you are Cathy, I looked this up actually thinking of Christina, and see they are hardy to zone 4, how cold does it get where you are? Down to -15 (and more sometimes). I used to grow them in England and Ireland. Might dip a toe in the water here against a wall! I figured it was a “big skip”, but a girl can dream…that place is beautiful. I just need a two year vacation! I can see it all:-) I love your pictures when you visit places-it brings it to life! Thank you Robbie, a two year vacation sounds absolutely wonderful! There’s something very cool and peaceful about these gardens. My favourite feature was the water staircase where the water runs along the railings. Bet you had a wonderful time! Yes! 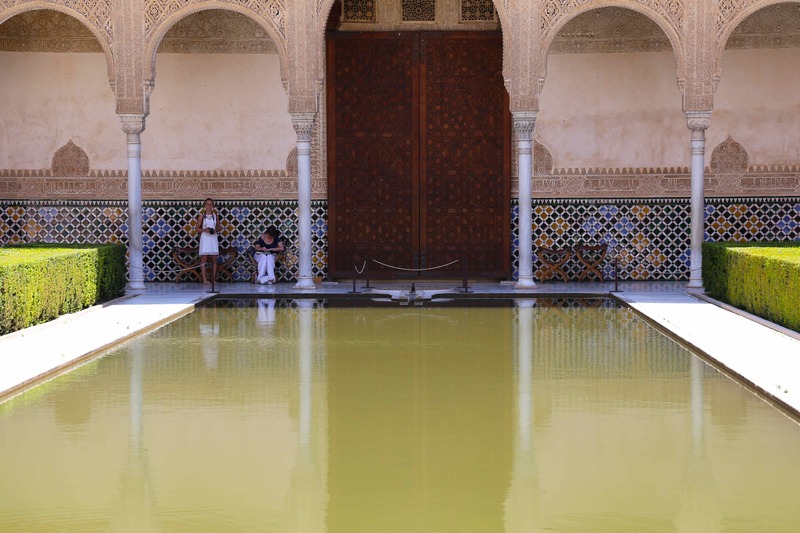 The water rail is on the route leading from the Generalife towards the building above, it was so hot I dragged my hands through the water. We thoroughly enjoyed our visit too. 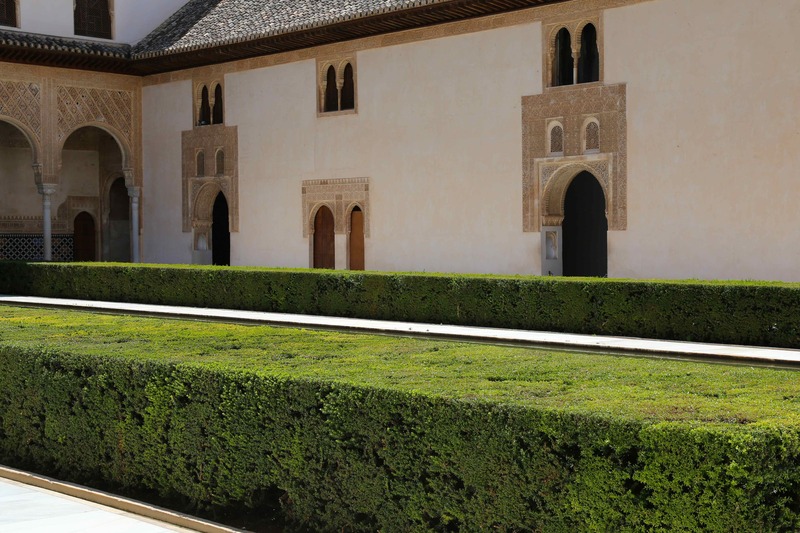 Thanks, it was our first visit and was something of a revelation, especially visiting the Generalife. I felt I had seen so many ideas taken from here and used in lots of modern designs. Wow. Thanks so much for the vicarious journey. These images are magnificent and your myrtle-touching secret is safe with me. There was so much more to show Jason, beyond the most famous gardens, its a vast complex, when you go you will love it all. Thanks so much Sarah, its a really beautiful place isn’t it. We’d like to go back in Spring when its hopefully a little cooler.